Challenge as an opportunity? Listen as Lara describes the context of conflict. She discusses how the components of assumption, judgment and expectation lead to a reaction. What is the significance of the physical reaction to an impending conflict? Hear Lara describe the mental and physical connection between emotions and conflict. An emotional trigger can make people think of a violent event. ... See More Rather Lara focuses on triggered reactions in conflict situations. Listen as Lara discusses how triggered reactions that are our habits and patterns, can result in negative outcomes. Hear Lara illustrate the importance of Desire paths and the connection to our own emotional patterns. She discusses the connection between reactions and our own emotional connections and past. What does self-awareness have to do with assumptions and preparation for a conflict? The seemingly preordained assumption follows with an associated judgment that leads to an expectation. Hear Lara describe how these emotional perspectives are connected and lead us into patterns. Listen as Lara provides an example of a couple having difficulty in their relationship and what she suggests in order to better improve their situation. Communication and reflection provide two of the key ways to improve the situation. Hear Lara describe how the individuals in this situation can improve their relationship. Is curiosity important in this situation? Lara says yes, hear why. In conflict, but not having a conflict? What are the signals in your own body that tell you something is wrong? Join in as Lara describes protective emotions that signal the presence of conflict. Hear Lara describe four of the main different conflict personality types and how these personality types can show up actively and passively during a conflict. Listen as Lara gives examples and describes at length these four conflict personality types: the Pleaser-Fixer, the Victim-Blamer, the Perfectionist-Controller, and the Innocent-Avoider. Learn how each of these affects conflict and communication in interpersonal scenarios. Listen to Lara discuss how recognizing your own conflict personality type can help you reflect in order to improve communication in future conflict situations. How do you feel? Lara emphasizes the connection between learning and communicating. She describes the three main ways that people learn as kinesthetically, auditorily and doing. And then she connects these elements to demonstrate how to improve communication and emotional interactions based on these learning preferences. Is it as simple as going outside or taking a walk? Lara offers some simple advice to help couples improve communication. Lara Currie is an interpersonal conflict resolution specialist with over 25 years of experience in high conflict positions. 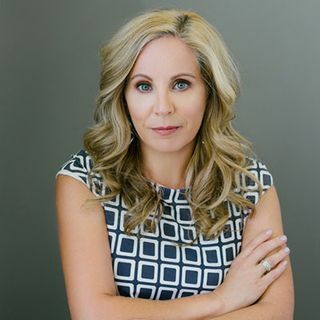 Author of the book “Difficult Happens”, Lara has a unique perspective assisting business owners and professionals improve interpersonal relationships in the workplace in order to best achieve a client’s goals and business objectives. She has a passion for empowering individuals to create positive and profound connections in order to live with less stress to ensure the best success. Her understanding of interpersonal dynamics in difficult situations enables her clients to better navigate tumultuous situations with curiosity and self-reflection that allow clients to Prepare for, Recognize and Navigate difficult people and topics. Books by the Author: Currie, L. (2017). Difficult Happens.